Auto, Boat, RV and indoor storage. Five minutes from St. George Island 7500 sq. ft of insulated storage. Rent by the month, no lease contract required. Boat ramp and docks available. We offer launching and pull-out service, additional maintenance service such as boat detailing, minor repair work as pumps and wheel bearings. Storage property is secured with high fences and full time residency. Self storage units 5 x10 = $28.00 10x10=$49.00 10 x20= $60.00 Plus office & retail space for lease and 4 Billboards on Island Drive. 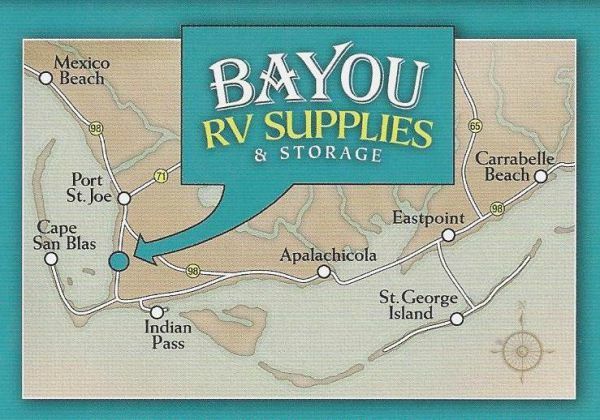 Self Storage Facility, Varied Sizes, RV & Boat Parking.